How can you distinguish between a Surge Protector and a Power Strip? Power strips and surge protectors are two common interchangeable terms. This is so because many power strips have inbuilt surge protectors that protect the electronic devices from electric surges. But there is a difference between the two. A power strip is an electronic device that connects two or more electric appliances simultaneously, whereas, a surge protector protects the electronics from power spikes. No doubt a surge looks and functions like a power strip, facilitating the user to connect multiple electronics, yet it is helpful in managing temporary changes in power supply. The following paragraphs will help you to know the differences between the power strips and surge protectors. Generally, both of them have similar shapes and sizes, yet it is important to understand the difference between the two to purchase the one that matches your requirements. Read on. Notwithstanding the fact that a power strip allows you to attach various electronic devices, yet there can be damage to the electric appliances if there is no surge protection. Tripped circuits, lighting or incessant changes in the power supply are responsible for frequent electrical breakdowns. Unlike a surge protector, a power strip may not be able to tackle the voltage changes. For,many power strips may have surge protection but all of them are not surge protectors or suppressors. A surge protector is suitable for your multi-charging requirements and provides protection to your devices against inadequate power supply damages. When compared to a power supply, a surge protector is relatively expensive. This is so because a surge suppressor comes with an additional feature of preventing the power appliances from electric damages by stabilizing the power supply. Though power strips range in your budget, but nothing can compromise the cost of a safe living. Energy ratings are often defined as the maximum amount of current an electronic device can hold or the maximum voltage an appliance can reach in case of changes in power supply. Power strips have their ratings in Amperes whereas; surge protectors ability to draw current is measured in Joules. In comparison to power strips, suppressors can draw more current and have more capacity to hold voltage changes. These ratings are often stated on the package or the cables of the two devices. Also, higher the rating, high is the potential of the suppressor to resist the power spikes. Not all electronic devices need to be plugged into a surge protector. Surge suppressors are designed for devices that are sensitive to electricity changes. 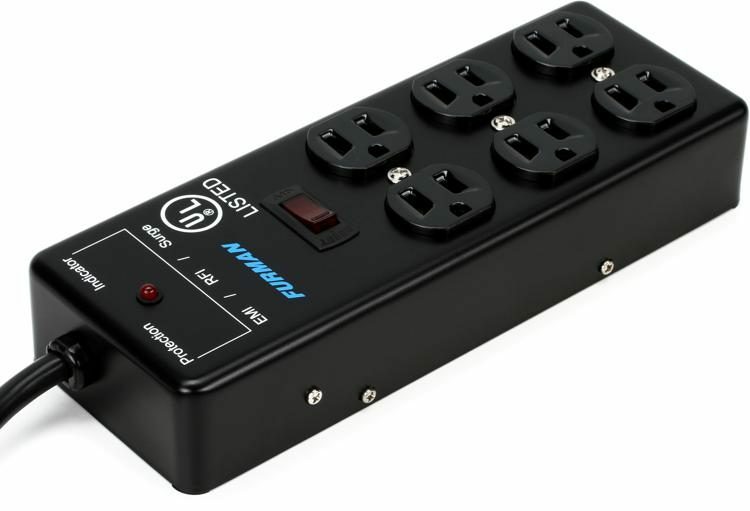 Expensive devices like laptops, home theaters, LCD’s or ovens can be connected to surge protectors to save them from damages that may occur due to frequent voltage changes. Small appliances like coffee makers or grinders can be attached to power strips. Apart from these differences, one can easily distinguish them from their packaging. Power strips and surge protectors will certainly have similar words like suppression or surge protectors printed on them.